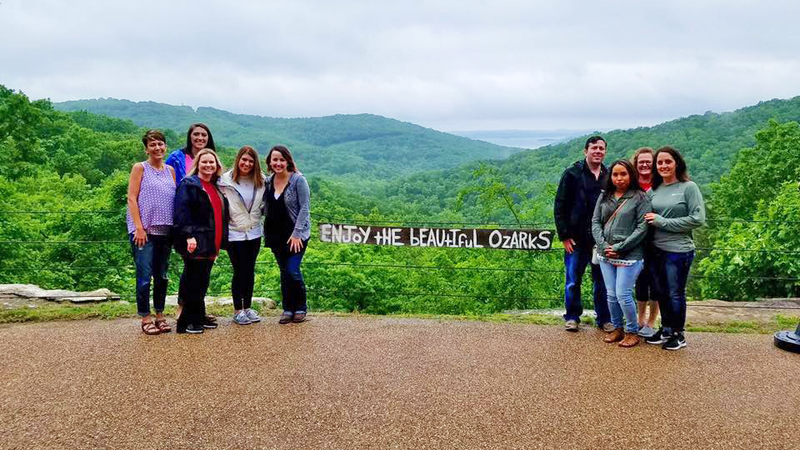 Recently, our staff had a recreational day at Top of the Rock in Missouri. The purpose of this trip was to show appreciation of all of the hard work and at the same time get to know each other better. 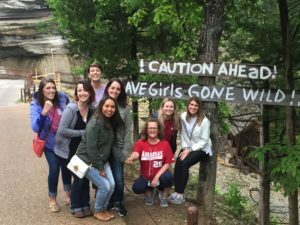 Our original plan was to spend the day at Dogwood Canyon. Unfortunately the heavy flooding from the storms the previous week had damaged the park so badly that they have closed the park and don’t expect it to be open for another year. We spent the morning touring the grounds and enjoying nature. One of our activities was the Lost Canyon Nature Trail. We saddled up on about 3 golf carts and hit the trail early morning. Many sites to see including waterfalls, caves, bridges, and of course nature. We topped it off with a lunch at Arnies Barn. Another interesting part of our afternoon was visiting the Ancient Ozarks History Museum. The staff got to see the history of the Ozarks and the animals and people from the state’s past. P.S. I wanted to say thank you to all of our staff members here at Founders Park Dentistry. I enjoyed spending the day with you guys at Big Cedar. Your hard work and dedication to our team really means a lot to me.